So you’re planning a trip to Central Europe this summer? We bet we can guess your itinerary. Budapest, Bratislava, maybe a detour to Vienna, and Prague. You might be traveling in the reverse direction, but you’re definitely hitting all of the major cities on this well-worn trail. Stop. Are you just trying to check Hungary, Slovakia, and the Czech Republic off your list? Or would you rather slow down, get out of the city, and see more of the countryside than what the train windows show flying by? We thought so. Go ahead, start in Budapest like you planned. You find Old World grandeur and stately historic buildings, modern art museums and a design market, pop-up shops and floating restaurants along the Danube. Bratislava feels quieter and calmer after a few days in Hungary’s capital. Its cobblestone streets aren’t clogged with pedestrians, pigeons still outnumber people in the charming squares, and you don’t have to elbow someone out of the way to take a photo at the castle. There are even a few empty outside tables at the popular cafés in the Old Town. Slovakia feels like a good place to stop. Modra is an easy side trip, since it’s only about 20 miles outside of Bratislava. But since it’s a small city that’s surrounded by vineyards and sits at the foothills of the Little Carpathian mountains, it feels like you traveled much farther. The hillsides around Modra are dotted with castles—or at least the ruins of them—as a chain of castles was built along the Slovakian border, between Bratislava and Žilina, in the 13th century. A bastion and the Upper Gate are the only remains of Modra’s own former fortifications. Catholic and Evangelical churches still stand in the center of the city, which is famous for its blue-and-white porcelain, though. While a relaxing hotel lies just outside of the center. Hotel Zochova Chata first opened in 1933 with simple chalet-style lodging. A lot has changed in the last 80 years. The hotel extended, modernized, and adopted feng shui guidelines to transform into a four-star hotel. Its wooden buildings now feature copper, art, and lots of glass windows. There’s an elegant dining room in the original chalet, an inn-style restaurant with a fairytale atmosphere, and numerous terraces that serve traditional Slovakian dishes. 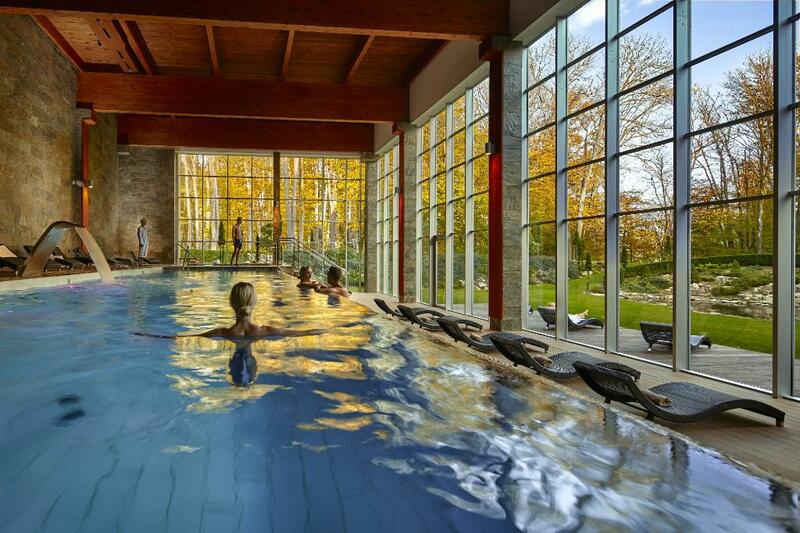 The spa, which you enter after walking around a small pond and through the forest, features an indoor pool, hidden whirlpools, and multiply types of saunas. Then there’s your room. Between the floor-to-ceiling windows and the pops of green, it looks like an extension of the beech forest outside. It doesn’t take long for your plans to change. Instead of returning to Bratislava and boarding another train, you’re thinking about hiking, trying Slovakian wine for the first time, and getting a massage. A two-and-half-hour hike up Veľká Homoľa leads to an observation tower and panoramic views over the Little Carpathians, the Považský Inovecs, and even the Alps in Austria. 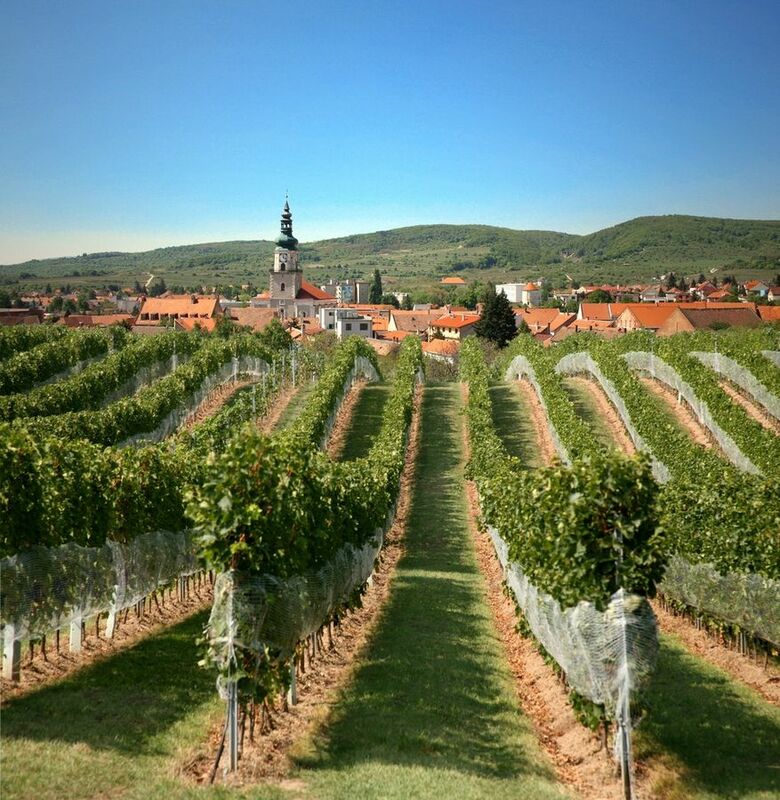 The Little Carpathian Wine Route is your chance to try Rizling Vlašský, Veltlínske Zelené, and Svätovavrinecké wine at small wineries. Just don’t forget to return to the hotel in time for your honey detox massage at the spa. A fresh ginger lemonade will be waiting by a hammock when you finish. Vienna and Prague are the last things on your mind right now.